Choose the #1 choice for home improvement and repair jobs in Bexley. We have a team of multi-skilled specialists that will save you time and efforts. The maintenance men of the company know how tough and boring can be to fix toilet seats, remove wallpapers, paint the walls and so on. That's why we provide these services plus much more to make sure you will use your free time to have a good time with friends and family. Leave the hard and tedious work to professionals. Their experience and modern equipment are a guarantee for superb results. Contact us whenever you like. Every handyman Bexley carries public liability insurance. No Distance Surcharge We won't extra charge, no matter your property is. All Work Guaranteed We pride ourselves with the quality of our services. Fully-equipped Handymen The team comes fully - equipped the most modern tools. Local Technicians We work with local, skilled handymen. We have a team of experienced plumbers with up-to-date equipment who can unclog any drain and fix any problem in your bathroom. Electric jobs can be quite dangerous and must be carried out by a professional. That's why it's best to leave the risky tasks to trained specialists. The precise handyman in Bexley can deal with various types of flooring. 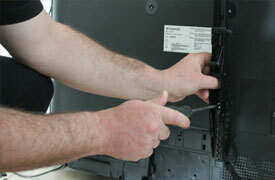 The handy workers promise you best viewing experience and flawless TV installation services.